Air China, based out of Beijing Capital International Airport, is one of the largest airlines in China. The carrier flies to nearly 180 domestic and international destinations, including the following U.S. cities: Honolulu, Houston, Los Angeles, New York, San Francisco and Washington, D.C.
Air China’s frequent flyer program is called PhoenixMiles. Despite its name, the program uses kilometers as its currency. Try to avoid transferring points from the airline’s only transfer partner, Starwood Preferred Guest, because you’ll lose about 30 percent of their value compared to programs that use miles. The transfer rate is 1 point for 1 kilometer, but a kilometer is worth only about .62 miles. How Can You Use PhoenixMiles Kilometers? PhoenixMiles uses a distance-based award chart for its own domestic flights, and a region-based chart for its international flights. The airline also uses different region-based award charts for Star Alliance members and for each of its own partners. 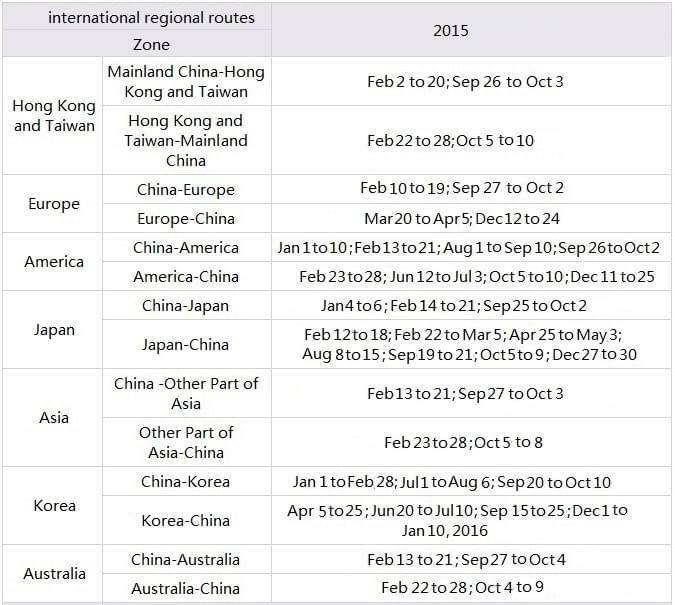 PhoenixMiles offers some good redemptions on Air China flights. Domestic round-trip awards in China begin at 15,000 kilometers, and flights between the U.S. and China cost 100,000 kilometers in economy and 200,000 kilometers in business. That’s only 62,000 and 124,000 miles respectively. There are also some good deals for flying with Star Alliance members. A round-trip flight between the U.S. and Hong Kong or Taipei is 176,000 kilometers (110,000 miles) in business and 220,000 kilometers (136,000 miles) in first. Award seats between the U.S. and Seoul or Tokyo are a bargain at 160,000 kilometers (99,000 miles) in business and 210,000 kilometers (130,000 miles) in first. Another great redemption is for premium class tickets between the U.S. and Oceania, which includes Australia, New Zealand and the Pacific Islands. Business class costs 188,000 kilometers (117,000 miles), and first class is 250,000 kilometers (155,000 miles). PhoenixMiles includes the Middle East and all of Africa in one zone. As a result, a flight between Egypt or Israel and any city in Europe costs 115,000 kilometers in economy, 256,000 in business and 346,000 in first. The flight between Tel Aviv and Istanbul, for example, takes only about 2 hours. That’s a lot to pay for a short hop. You can use kilometers to upgrade cash tickets from economy to business, or business to first. You can’t upgrade award tickets. A one-way upgrade from economy to business class on a flight between the U.S. and Beijing costs 40,000 to 60,000 kilometers, depending on the class of ticket. Upgrading from business to first costs 50,000 kilometers. Air China does not offer a co-branded credit card for U.S. residents.